It’s no news that a lot of Apple users always seem to encounter the iTunes library gone problem. What’s the course? Well, there are numerous factors that could make you lose your iTunes library. It could be as a result of recent update of the iTunes software or by enabling iCloud music library in iTunes. It could also be as a result of a stolen or lost computer, or due to an internal hard drive failure. Regardless of the reason, there is a way out. Your iTunes library is a database, responsible for storing and organizing your music, videos, and every other media file. It is also responsible for very sensitive details like song ratings, playlists, and play counts. Imagine having to lose countless songs, videos, TV shows, and albums either purchased from iTunes, downloaded from downloading sites or ripped from a CD. For a devoted music lover, I imagine losing an entire iTunes library would almost be comparable to losing a loved one. No one wants to lose a loved one, and we certainly don’t want anyone to. 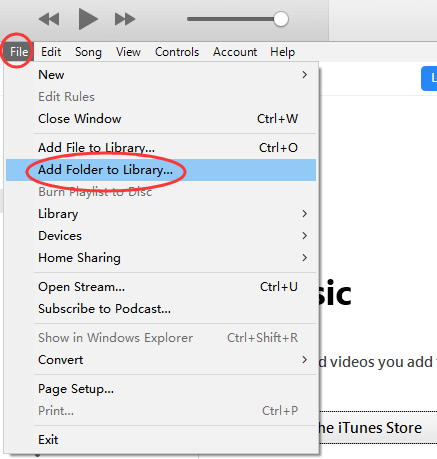 For that reason we have prepared this article to serve as a guide to help those who lost iTunes library on PC, giving them something to turn to. In this post, we’ll be using a sophisticated computer application called iMyFone TunesMate. Compatible with both Windows and Mac computers. More details below. I lost my iTunes library and can’t seem to find a way to get it back. Do not fret, with the use of iMyFone TunesMate you can easily and securely recover your entire iTunes library with just a single click. iMyFone TunesMate is a wonderful application that bridges the gap between your iDevices and PC/iTunes without any risk of sync errors or limitations. This powerful piece of software is an effective and an impressive alternative to iTunes. TunesMate helps you recover your iTunes library easy and fast without any loss of data or restrictions. It lets you enjoy your music, videos, and other media files any day. 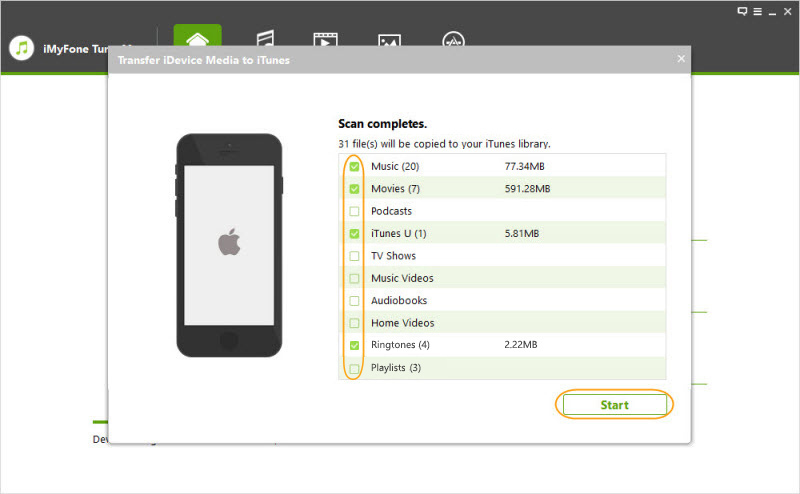 Instantly recover lost iTunes library with the backup on any iDevice. Allows you bypass iTunes limitations while exporting your music, videos, and other media files. With just a single click, you can transfer the entire iTunes library. Manually change and edit your music details like play counts, album artwork, rating, and much more any time. Protect your songs, videos, playlists, audiobooks, and others by backing them up from your iDevice to local music library. Two-way transfer. 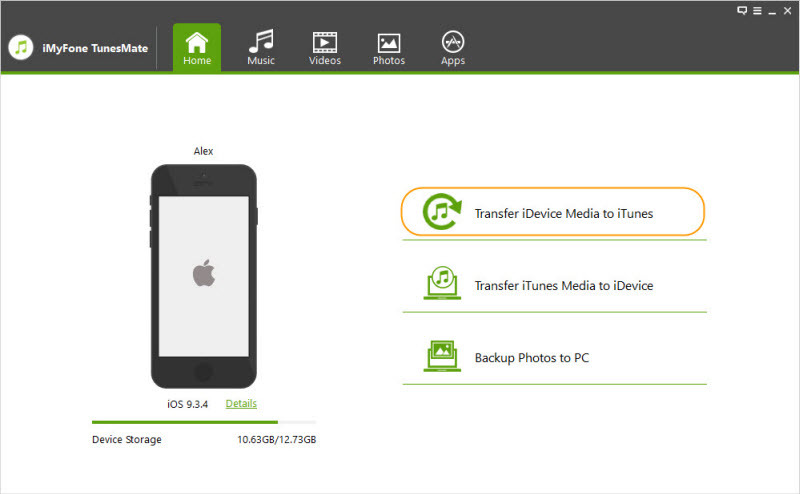 Not only can you sync songs and videos to iPhone, but you can also export iPhone media to PC/iTunes. Step 1: First, you’d want to download and install iMyFone TunesMate. Step 2: Connect your your iPhone to your computer. Step 3: Launch iMyFone TunesMate. Step 4: Select “Transfer iDevice Media to iTunes”. Step 5: You’ll get a pop up that reads “Copy iPhone to iTunes”. Hit “Start”. Step 6: The boxes of the media files you want to transfer should be checked. Step 7: Hit “Start” again. Step 8: Once the transfer is complete, tap “Complete”. Plug in the external hard drive containing the iTunes library backup to your computer. Locate the external hard drive icon. In the Finder or on the desktop on your Mac, and on your PC you’ll find it in My Computer. Open the external hard drive by clicking on the icon. Browse through the hard drive to locate the iTunes folder. Then you can drag your iTunes backup folder to your computer. Click "File" and then select "Add Folder to Library". Just select the folder you just drag to your computer on the pop up window to import them into iTunes library. Worried you lost iTunes library on PC? 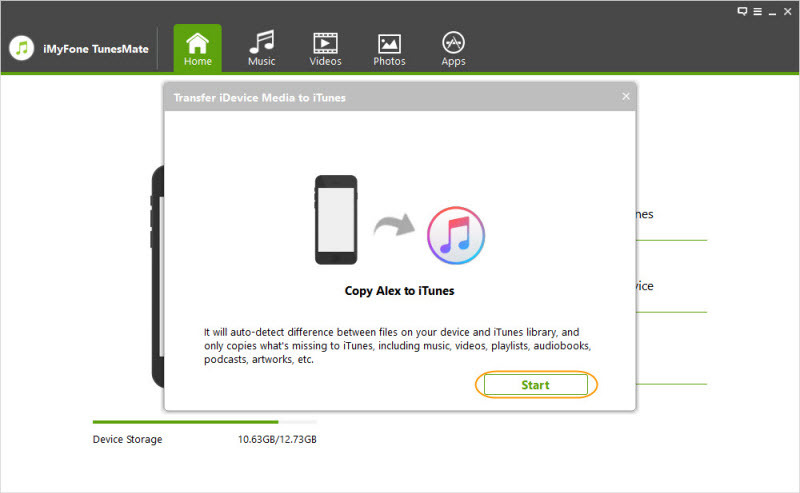 Following the above steps will help you recover your entire iTunes library from your iPad/iPod/iPhone using iMyFone TunesMate or from an old backup. Let us know if it worked for you in the comment section.